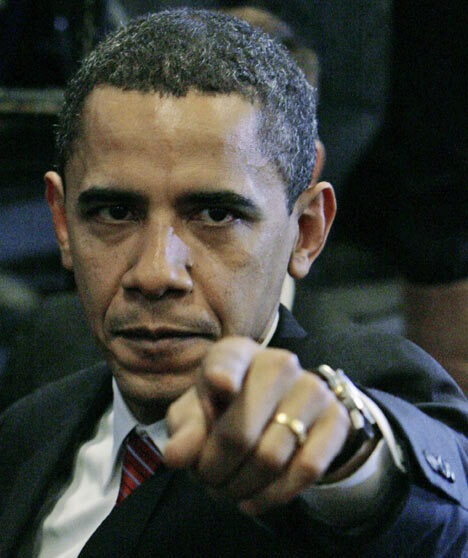 Obama 666 – IS HE THE ANTI-CHRIST? This is really strange. On the heels of the Obama historic election as president, his home state of Illinois drew 666 in its Pick 3 lottery. Is this just a fluke or a sign of things to come. Many people have called Obama the Anti-Christin the pre-elections, but that is really not uncommon of public features. Almost all of them have been compared to the Anti-Christ at some point in their careers. Its also not the first time that the 666 number has surfaced in a Pick 3 lottery, but for this to happen in Illinoisright after Obama was elected is really strange. I don’t subscribe to conspiracy theories much, but this one is a little over the top and the timing of this 666 drawing in Illinoisis just eery. So what are your thoughts? Does this mean Illinois 666 drawinglends credibility that Obama is the Anti-Christ? There are a lot of similarities between Obama and characteristics that people have assigned to the Anti-Christ and even in the bible. I’ll wait until he starts killing people before I associate the Illinois lottery drawing 666to Obama. I never liked him nor supported his plan, but now he is the president and he should have a measure of initial support. Of course if he screws up, it will definitely be posted here. I may have to open the bible this afternoon and take a look for some additional similarities not because I want Obama to be the Anti-Christ, just because I’m curious now about the potential implications for this Illinois 666 drawing. Perhaps they are related, if they are not related it sure is weird. All of America is already in a freanzy about the loss of so many celebrities is such a short period of time. Six, to be exact. David Carradine, Farrah Fawcett, Michael Jackson, Billy Mays, Ed McMahon and Karl Malden. Six is a bad number! In case you didn’t know… The number 666 represents Satin because he is considered to be incomplete and can not reach the number the next level. God, on the other hand, is represented by the number 7 which signifies completeness… That is the reason there is so many references to the number 7 in the Bible when referring to God. He was the 7th sibling in his family. His biggest hits, “Billy Jean” & “Black & White” were both NO.1 for 7 weeks. His albums, “Thriller, Bad and Dangerous”, all produced 7 top 40 hits. Is this not creepy enough for you? We even discussed the possibility of Obama being the Anti-Christ in Sunday school before Obama became President. Our preacher assured us that it would be a global event, not just within the United States. I didn’t really put much stock in the possibility anyway. Michael effected the globe, much like Obama is attempting to today. From what I remember being tought from Sunday school about the book of Revelations in The Bible, however, Christ would return. That he would attempt to bring peace to the world and fail and then perish. During this time the Anti-Christ would rise and accomplish what Christ could not, bringing peace to the world…. He is known as “The Deceiver“. Obama has deceived many of us since becomming President with his false promises. If I’m not mistaken, Michael Jackson had his picture made with every President “except” Obama….. I find this VERY scary!!!!!! Michael attempted to bring peace to the world. He came close but didn’t reach his goal. Michael was accused of several horrible acts that was never proven as fact and never wavered from his goal of equality and peace for all people of the PLANET, not just the United States. Michael’s life was surrounded by the number 7. Obama became President before Michael’s death. Michael attempted to change the world though love which he did. But he was unable to achieve global peace. They never had their picture made together which is the only President that he did not have his picture made with. People followed Obama no matter what he did or said as if they were in a trance and still elected him President. Obama is now developing peaceful relationships with world leaders to bring peace to he world although the citizens of the United States do not like his tactics, just as the Bible had predicted that he Anti-Christ “The Deciever” would do. I just wonder how many 6’s Obama can be affiliated with?